Jeffersonville-On tonight’s date at approximately 7:05 pm, Trooper Morgenn Evans from the Indiana State Police Post at Sellersburg made a traffic stop for a traffic infraction near the intersection of Park and Jefferson Streets in Jeffersonville. The traffic stop involved a gray 1999 Chevrolet Silverado pick-up truck being driven by Oscar Kays, 79, from Huston Drive in Jeffersonville. During the traffic stop Oscar Kays became combative and pulled a handgun and shot at Trooper Morgenn Evans. Trooper Morgenn Evans was struck in the head but was able to return shots at Oscar Kays while he was fleeing the scene. Trooper Morgenn Evans got back to his police car and gave chase a short distance but Oscar Kays was able to escape and returned to his home on Huston Drive where he was taken into custody by the Jeffersonville City Police Department and the Clark County Sheriff’s Department. 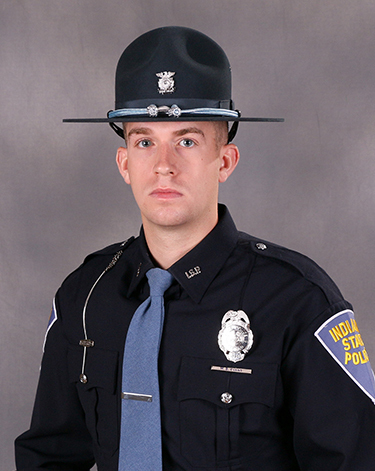 Trooper Morgenn Evans was transported to the University of Louisville Hospital in Louisville, KY with non-life threatening injuries. Oscar Kays was transported to the University of Louisville Hospital in Louisville, KY with unknown injuries. At this time it is unknown if Trooper Morgenn Evans shots wounded Oscar Kays or if he was wounded by his own gun or debris from the shots fired. 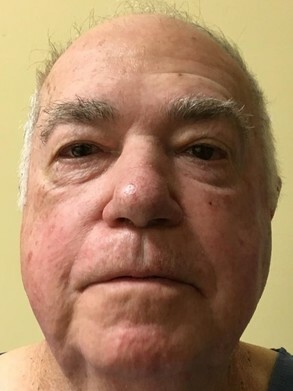 After his release from the University of Louisville Hospital Oscar Kays was charged with Attempted Murder of a Police Officer and incarcerated at the Clark County Jail. There will not be a press briefing tonight due to the fact no new information will be released. A press conference will held at 10:00 a.m., Wednesday, December 13th in the training room at the Indiana State Police Post at Sellersburg. No further information will be released until that time. Trooper Morgenn Evans has been a trooper since October of 2016. His photo in uniform is attached to this release. A photo of Oscar Kays is also attached to this release. All Subjects are Innocent Until and Unless Proven Guilty in a Court of Law. This service is provided to you at no charge by Indiana State Police.